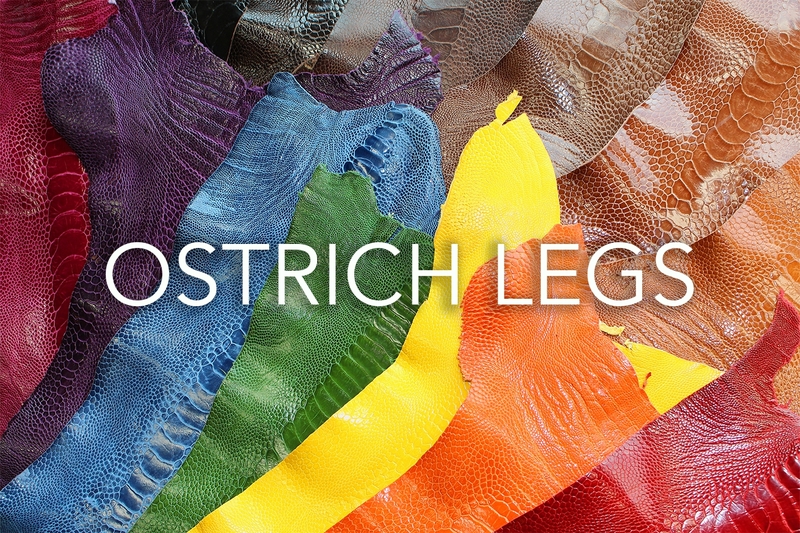 Our beautiful glazed ostrich legs are primarily sold for small leathergoods and accessories such as wallets and smart phone cases. The small skins offer minimum wastage. Other popular uses include watch straps and the bespoke footwear industry. Please note: We are unable to provide samples for this article. The photographs taken are a close resemblance to the skins. Colours may appear differently depending on your device.